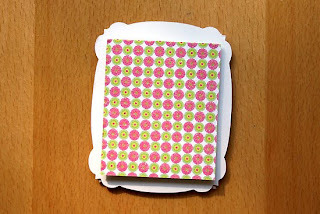 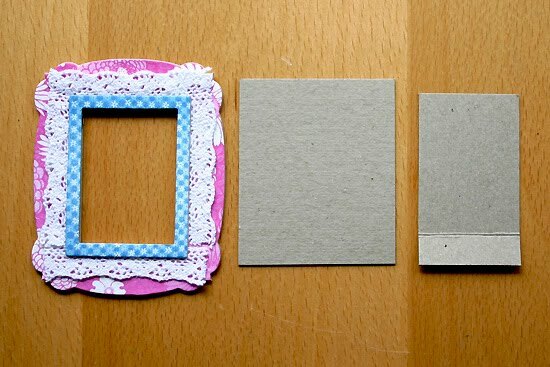 I am going to share with you today how to create your own little mini photos frames using the Homespun Chic Layered Frames. 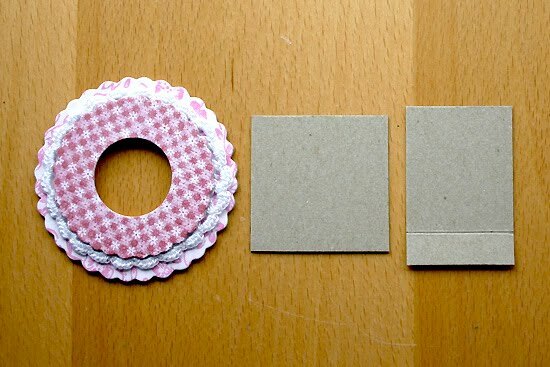 The completed project is quick and easy to put together! Plus, they would make a perfect gift for that someone special! 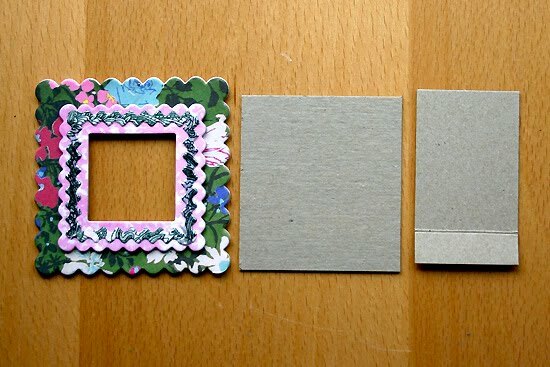 Here are my completed and embellished frames! 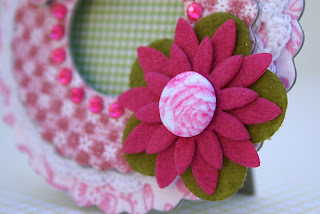 Now let me show you how I created these little lovelies! 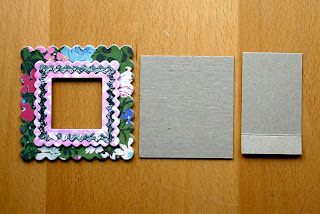 A tip before starting: Remove the paper backing to reveal the adhesive on each of the frames. 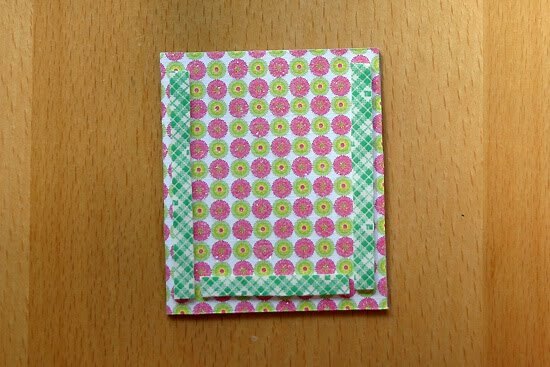 Lightly sprinkle them with baby powder to remove the stickiness. 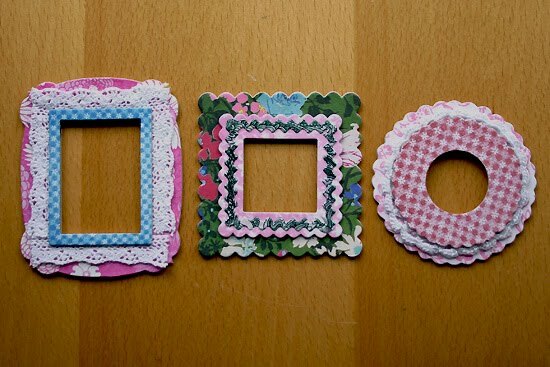 Take a piece of scrap chipboard and cut a back and a stand for each frame. 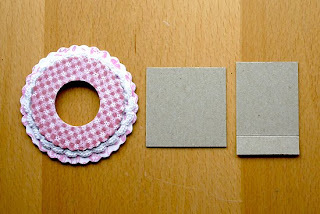 Use a bone folder or other such tool, to score the chipboard a 1/2 inch from the end for each of the stand pieces. Cover the front and back of each piece of chipboard with a coordinating pattern paper. Cut thin strips of double sided foam tape and run it along 3 sides of the back piece. 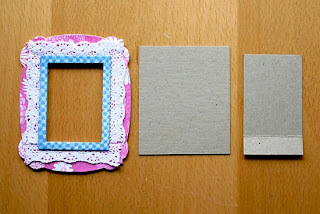 This will leave an opening on one end that will allow you to insert a photo into the frame if you would like to. Remove the tape and adhere this to the back side of the frame. 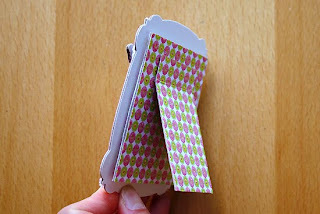 Remember to keep the side with no tape at the top! 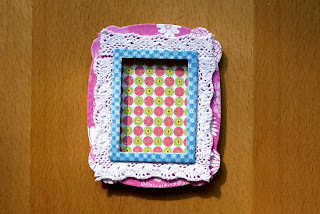 Adhere the stand to the back of the frame. 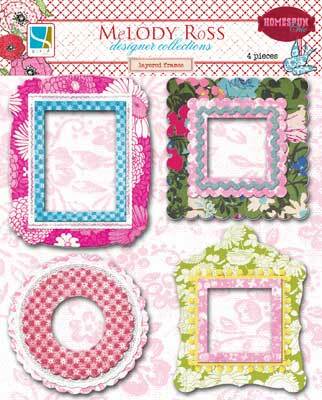 Complete each frame by adding the embellishments of your choice! Here are some close up images of how I embellished my frames. 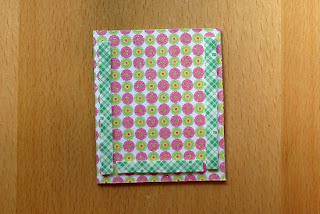 For the chipboard shapes: Adhere patterned paper to the chipboard piece. 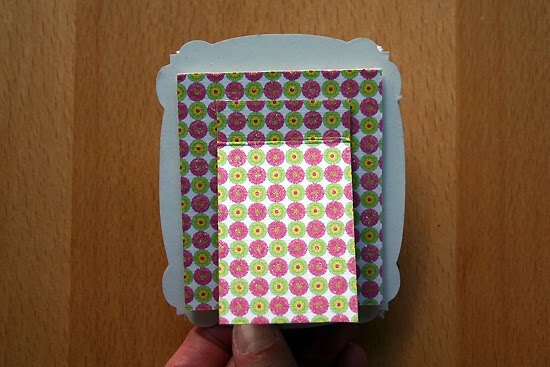 Cut around them and then sand the edges. Add Stickles and a gem for extra sparkle and shine! 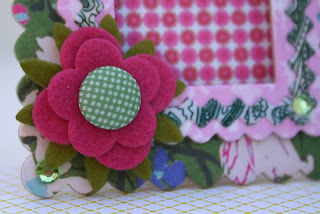 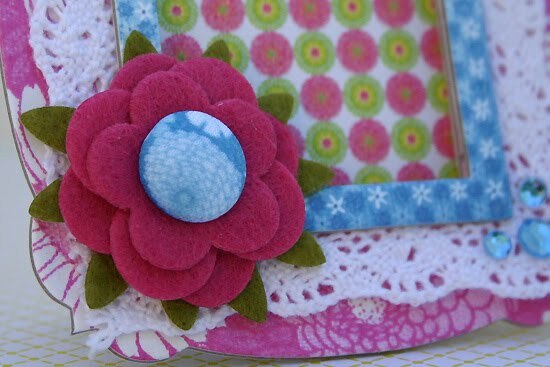 For the flowers: Layer the fabric brad with the felt flowers for a quick and easy flower embellishment! 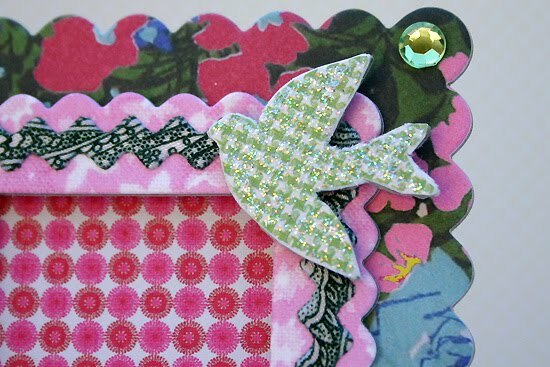 These are so lovely, Juliana! 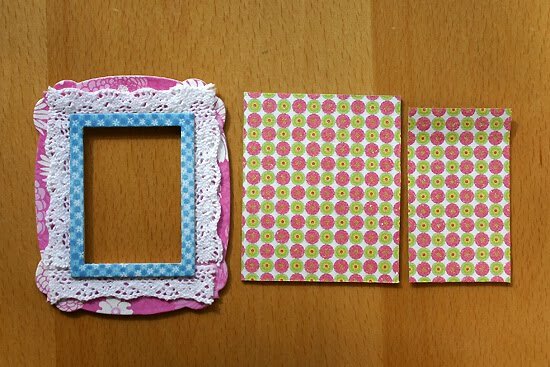 I have some little scrapping frames somewhere... now where are they? I'll put a link to this post on my blog - I keep a list of cool "How-to's" and projects. 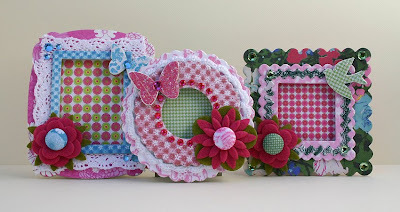 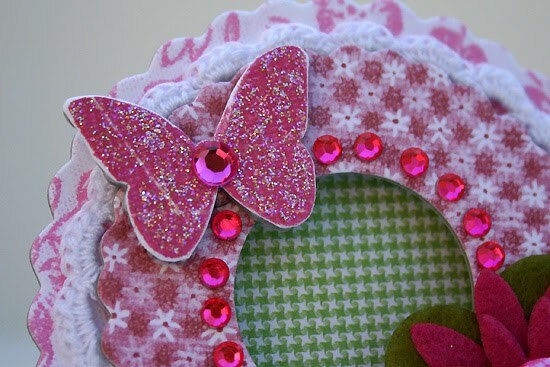 Such sweet frames and once again, a terrific tutorial! Super sweet frames Juliana! I love this line. 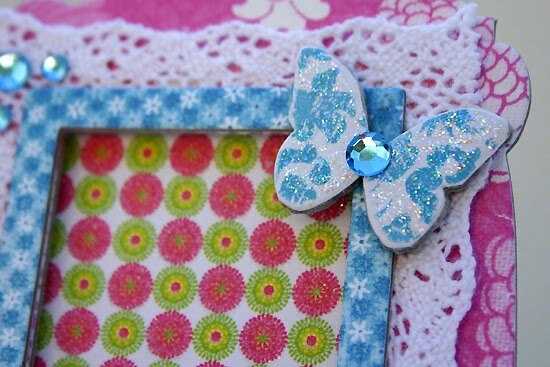 One of my faves for sure!